‘Conversation Piece’ by Juan Muñoz has been an installation I have visited for many years. 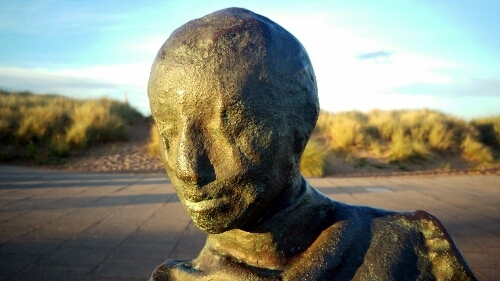 There are 22 life size bronze figures that appear to be in deep conversation with themselves and each other; greeting their visitors from both land and sea. 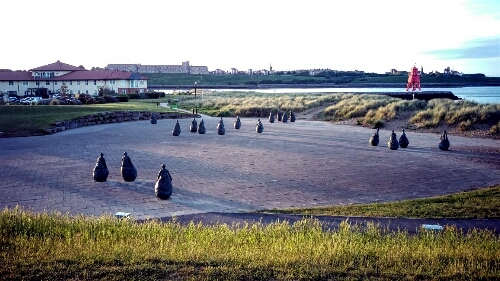 Installed at Littlehaven Promenade and Sea Wall South Shields, Muñoz won Spain’s prestigious ‘Premio Nacional de Bellas Artes Award’ for this piece, dying shortly after. There is something so profound about these figures. I am never sure why I am drawn to them and whether I actually want to put a “why” behind the feeling is open for debate. Sometimes it’s just good to enjoy an experience without defining the moment. This particular visit was made with my daughter. Grown now, she has vague memories of this stretch of coastline that she and I walked with my Dad. It strikes me that the conversations that we have change over time. They have threads running through them like sedimentary layers in our memory banks, but they change nonetheless. 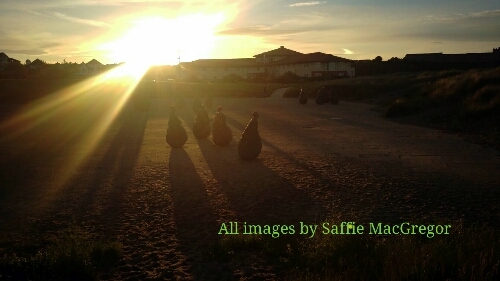 What I am beginning to see in this creative journey is that to filter through my own processes, I always engage with nature: walking, gathering, breathing in and absorbing my environment. The physicality of these connections are what continue to inform my work. This medatative practice underpins the developmental process and feeds my soul. This I will think about whilst I play. Love the concept of sedimentary layers…. are they generational too ..?